The Board’s functions include a role to promote discussion of architectural issues in the community. Architecture doesn’t exist in a vacuum so it’s no surprise the Board doesn’t either. We partner with local councils, state agencies, professional organizations and not for profit groups, local communities and businesses to explore the built environment by hosting events, talks and festivals; preparing advice and publications intended to equip people with the information they need to make the best choices. 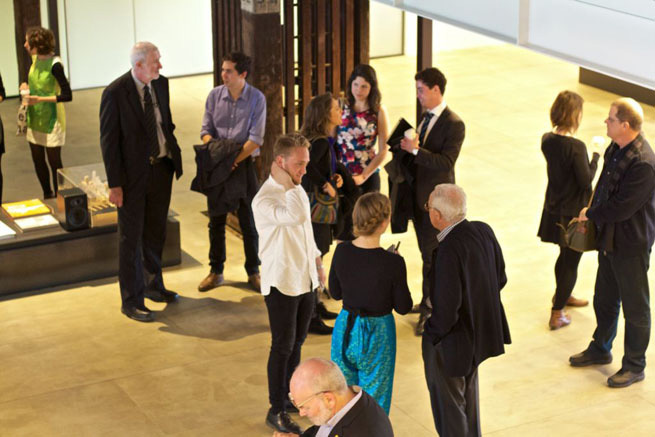 The NSW Architects Registration Board works to promote a better understanding of architectural issues in the community by connecting the public, students, architects and others with information about architecture, design and the world around us. We prepare teaching aids and resources for schools, sponsor and support exhibitions and events, and award scholarships. Byera Hadley's bequest is Australia's most prestigious and sustained gift of its type; resulting in more than $3m being granted to over 160 architects, students and graduates since 1951. Byera Hadley Travelling Scholarships promote travel and research in cities and communities around the world. Scholars return to share their research with colleagues, Councils and communities. You might be thinking of renovating or designing from scratch. Where do you start? What's involved in preparing a brief, setting a budget or planning for a renovation? What’s really involved in working with an architect? Is it worth it? How do you source a builder and how do you know when the price is right? Is it important to use a ‘registered' architect? The use of the title ‘architect' is protected by law. Only people registered with the NSW Architects Registration Board may use the title. What level of fees can I expect to pay for the services of an architect? Architects' fees are subject to open market competition. There is no central fee control system. Since it started in 2007, around 40,000 Sydneysiders have taken part in events, talks and exhibitions on design, architecture and the built environment thanks to the Sydney Architecture Festival. 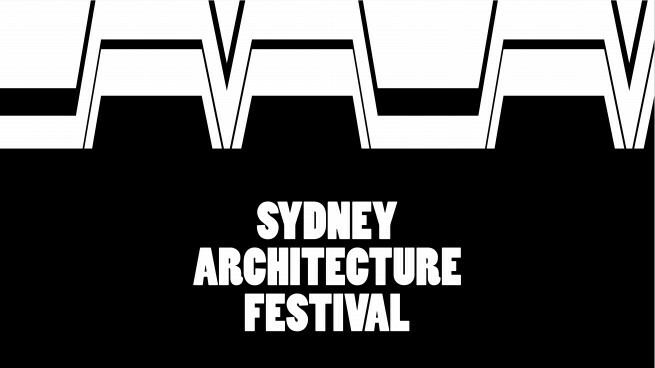 The Festival runs for 4 days in October - from some of Sydney's most iconic public buildings to some of its newest public space – we explore the ideas behind and beyond architecture through exhibitions, installations, kid’s activities, forums, talks and tours. The NSW Architects Registration Board is a statutory authority responsible for registering architects, approving architectural education, conducting enquiries into the conduct of architects, investigating misuse of the title Architect and promoting a better understanding of architectural matters in the community. Completing a successful building project will happen partly because you had a good working relationship with your architect. This article describes what architects do for their clients, and gives you some advice about how to work best with your architect. The Board is tasked by the Architects Act to ensure that architects provide services to the public in a professional and competent manner, and to provide mechanisms to discipline architects who are found to have acted unprofessionally or incompetently. The Board operates a fair, effective and open complaints procedure. It has guidelines for individuals who wish to make a complaint against an architect, or against a person inaccurately representing, or representing another, as an architect. The Board’s Complaints process is an effective mechanism to investigate architects who may have acted in an unprofessional or incompetent manner. However the Board regularly receives calls from people seeking advice on issues that may be currently unfolding on site, or which are at a critical phase where early and prompt action can assist. The Minister for Innovation and Better Regulation, Matt Kean MP, has announced the appointment of six Board members. The appointments signal a chance for the Board to build on its strategic plan, with a new face joining the Board in November. Figures released today from the 2018 Sydney Architecture Festival last weekend prove Sydneysiders want to be more engaged in the planning and design of Sydney’s future - with new records set this year for those sharing the program online. President of the NSW Architects Registration Board, Dr Deborah Dearing was awarded the prestigious NSW Chapter President's Prize at the annual NSW Architecture Awards, hosted by the Australian Institute of Architects NSW Chapter. In the face of an increasing shortage of affordable housing on the North Coast of NSW, a group of locals and organisations will come together to host the Affordable Housing Local Solutions Forum on the 3rd & 4th of May at the Uniting Church in Bellingen. The Board is pleased announce it will partner in a new media venture that aims to support and inspire those who design and plan Australia’s built environment. The Built Environment Channel will supply news, information and specialist content to architects, engineers and designers throughout Australia via a network of digital screens, placed at no cost in participating practices. To celebrate International Women’s Day, our newest recruit, Jesse Matheson (JM) spoke with Kathlyn Loseby (KL), architect and Chief Operating Officer of Crone, about the continued push for gender equality in the Australian architecture sector. The Board is pleased to announce the winner of the Architects Medallion design competition is a team led by HY William Chan (Medallion design), Ramin Jahromi (Nominated Architect) and Rob Asher (Computational Design) from Cox Architecture; supported by Kristie Fitch, Bunda Jewellery and Palloys, NSW. One of the objects of the Architects Act is to promote a better understanding of architecture in the community. Our partnership with 'Australia by Design' will grow in 2018 to an 18-week series featuring architecture, product design and landscape architecture. At an event explaining changes to the Architects Regulation held at the NSW Chapter last week, an audience question probed an architect’s duty to provide cost advice to their clients. It echoed a recent complaint heard by the Board. Most in the room agreed that architects are generalists and not experts, and so could never be expected to have current market pricing at call. The NSW Architects Registration Board recognises that the National Standard of Competency for Architects (NSCA) is fundamental to a number of our statutory functions: it extends to the accreditation of architectural programs, all pathways to registration, and the ongoing learning of architects. To mark 2017 International Women's Day, we asked 2016 Architects Medallion winner, Chloe Yuen, to set out in her own words some of the issues she sees most relevant in architectural practice.